Where is the best scuba diving in Indonesia? 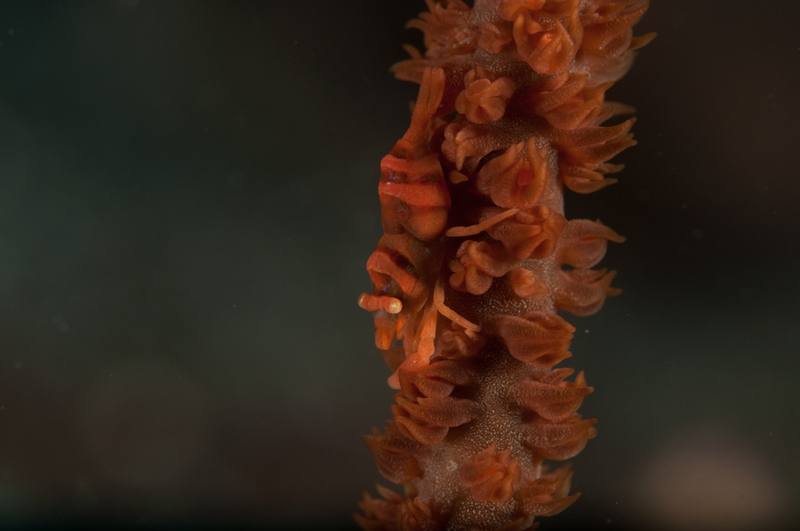 Read on for 6 places that should be on every diver’s To Do list. It’s not often that Komodo makes an appearance in the Top 5 of places to dive in the world – as a premier diving destination, it still remains relatively unknown. 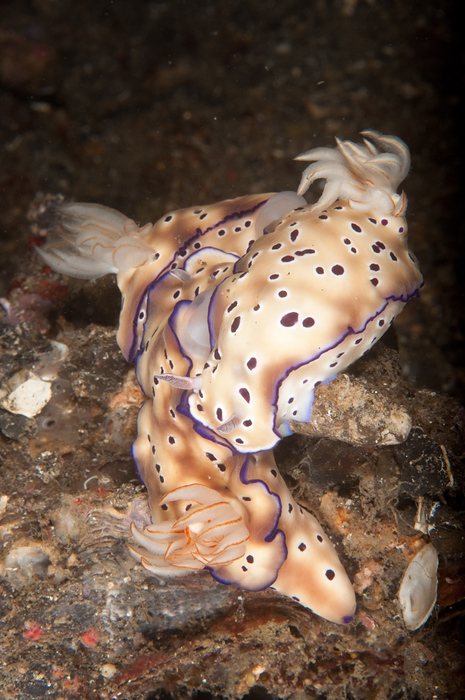 It’s my personal Number 1 favourite dive area anywhere in Asia – I’ve been there three times in the last three years and would like to continue making an annual return. In terms of bang for your buck for a 10 day liveaboard trip, I would say that Komodo is actually even better than the holy grail of Indonesian diving, Raja Ampat. While Raja has incredible biodiversity, Komodo provides an amazing variety within a standard week and a half liveaboard format. From the temperate waters of Cannibal Rock and Manta Alley in the south to the tropical waters of the still active volcano Sangeang in the north, Komodo has a spectacular array of different dive environments that also provide a feast of big and small critters. There’s also the chance to encounter the fascinating Komodo Dragons on land and see Komodo’s primeval landscape from the vantage point of the boat. Of numerous stand out areas, Gili Lawa Laut is probably Komodo’s highlight of highlights, as it’s home to Castle Rock, one of the world’s most stunning dive sites. 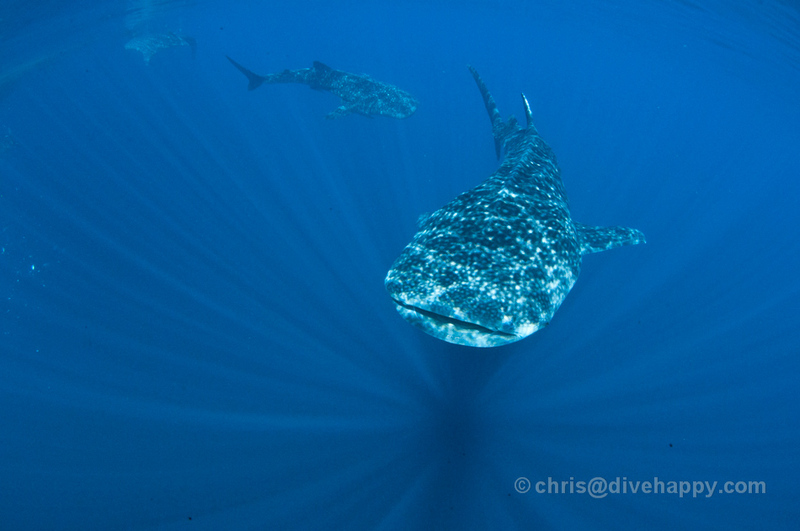 This is a true fishbowl where sharks, dolphins, tuna and thousands of fish can be encountered en masse. There are numerous liveaboards to choose from and also daytrips if you want to spend more time exploring on land. Bali is the initial arrival point for guests, with many boats organising a domestic flight into Maumere or Labuan Bajo to meet with the boat. 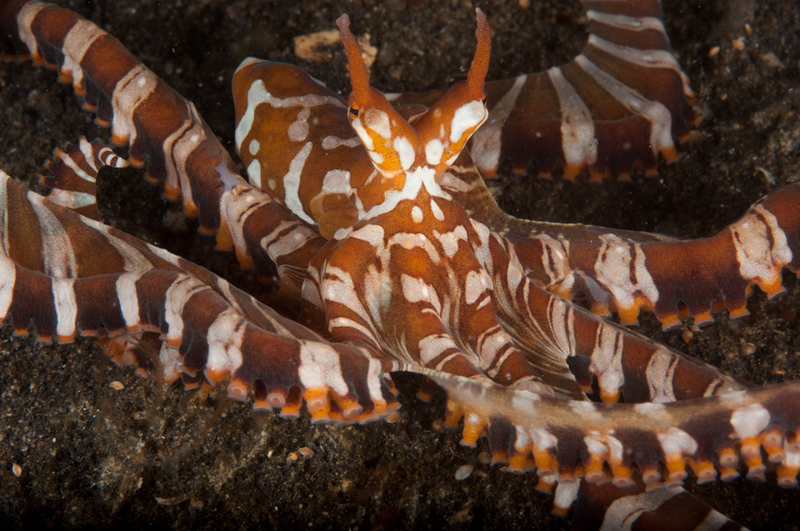 It’s a scientific fact – Raja Ampat has the most underwater species of any place in the world, and for a diver, that means there is a plethora of stuff to see. Raja has become The New Big Thing for discerning divers and despite the effort to get there, very few divers are disappointed. The Waigeo and Misool regions around Bird’s Head Peninsula have scores of dive sites that have a profusion of spectacular corals and critters, as well as a couple of signature manta ray cleaning stations too. The picturesque limestone rocky outcrops that pepper the coastline form secret lagoons above water and intriguing caves and canyons below the water too. 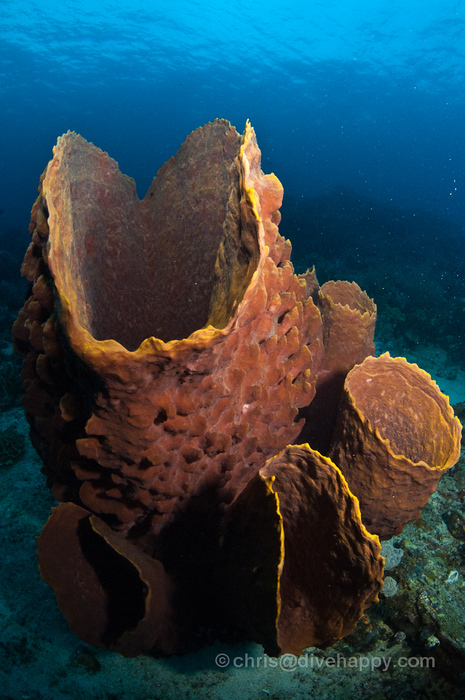 Further south lies Triton Bay, whose milky, nutrient rich waters are home to an amazing array of soft corals and macro critters . 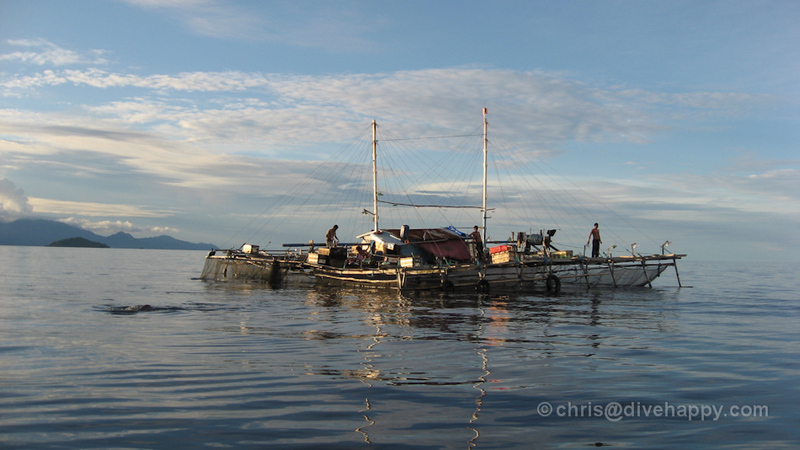 Liveaboards typically last for 10 days and depart from Sorong. There are also several resorts around Raja Ampat – Misool Eco Resort and Max Ammer’s Kri and Sorido resorts. 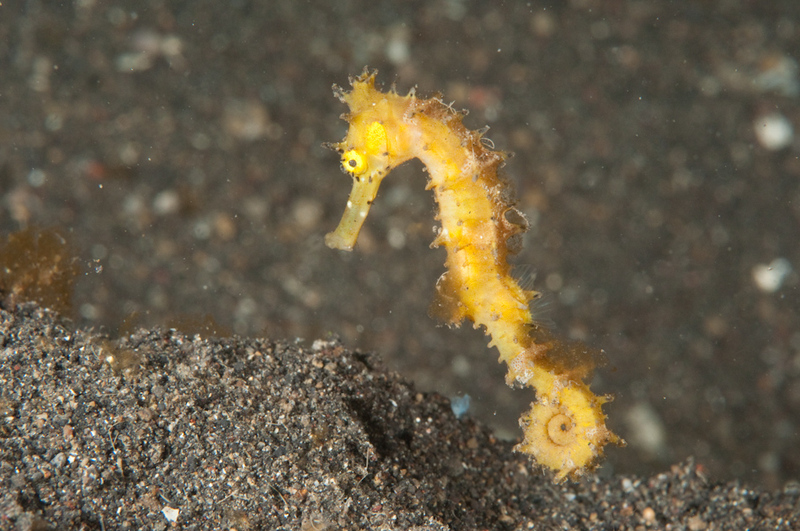 Read my Raja Ampat and Triton Bay trip report on MSY Seahorse. Crossing the Banda Sea is only possible a couple of times a year when the seasons allow for calm seas and let divers take on a truly epic voyage to some of Indonesia’s most remote dive spots. Departing from Maumere and heading along lor for a few days before entering the Banda Sea proper, liveaboard trips typically take two weeks to make the crossing. En route there are numerous atolls to be explored, including the two spectacular volcanos of the sea snakes at Gunung Api and Manuk which also boast centuries old coral. It’s rare to see another boat during the whole crossing, and arriving in the tiny but bustling Banda Islands is a fascinating contrast to the solitude and expanse of the Banda Sea. The islands are great to explore on land and learn about the islands’ troubled past as the only source of nutmeg, once considered more valuable than gold. 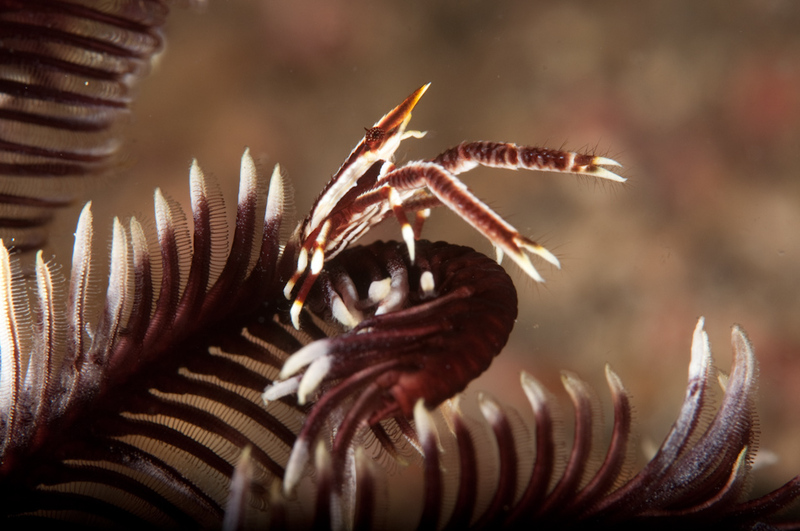 Banda Sea crossings typically conclude in Ambon where there is some excellent muck diving, or continue on into Raja Ampat and explore Misool for a couple of days before concluding in Sorong. 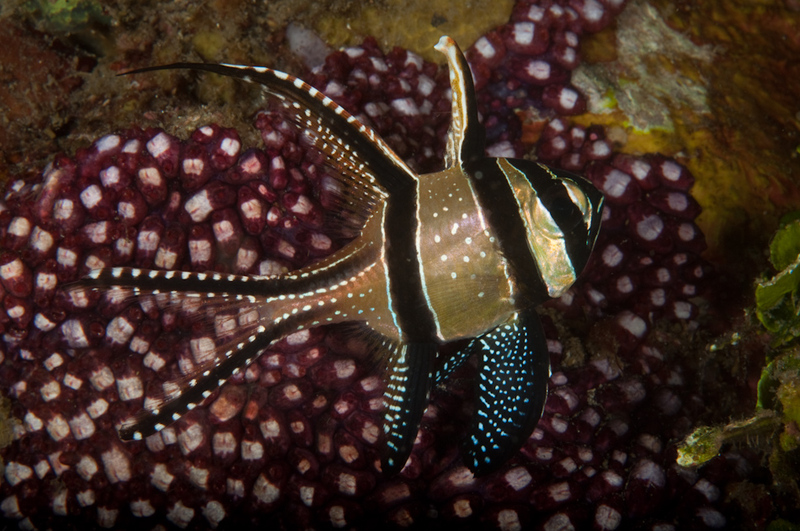 Banda Sea trips also head in the opposite direction, from Ambon to Alor. Given the huge distance to cross, there is a lot of travelling and itineraries can change depending on weather. 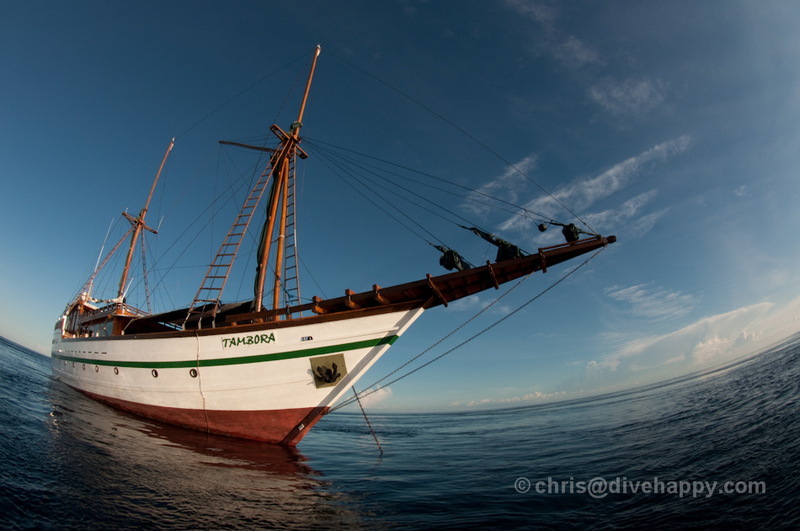 There is something magical about the Banda Sea and it’s a trip I would love to do again. 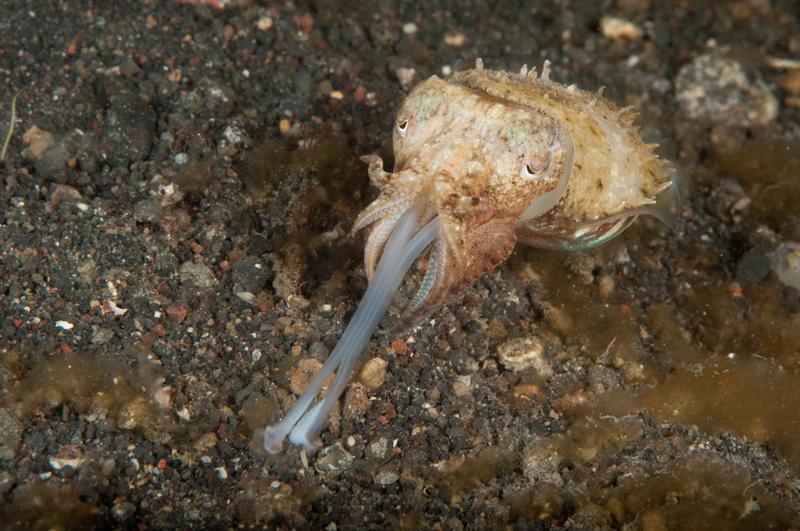 If seeing weird and wonderful critters is what floats your boat, Lembeh Strait is the underwater world capital of all things aquatic and strange. 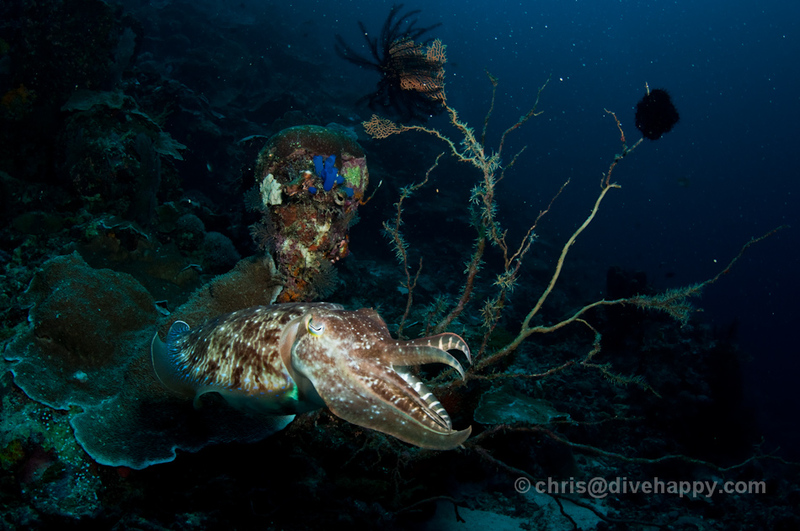 It’s also an excellent value diving destination, with resorts to cater for all budgets. 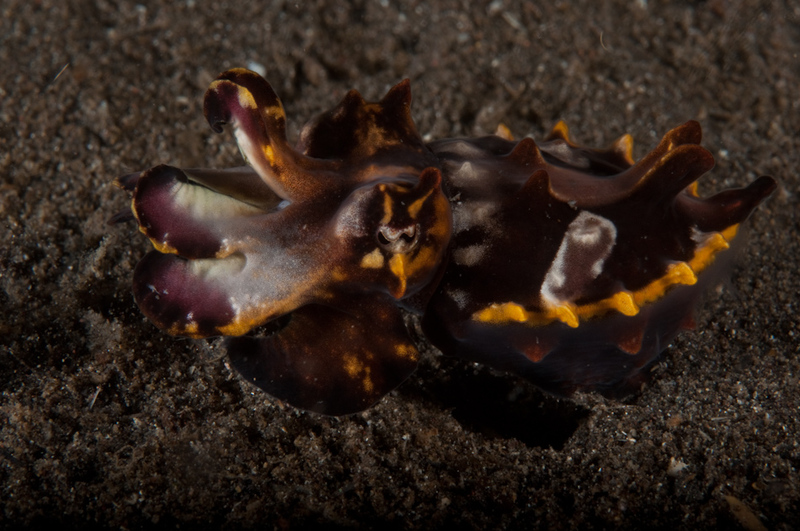 Mimic octopus, hairy frogfish, pygmy seahorse – there is a seemingly endless list of ultra rare underwater creatures that are almost common in Lembeh. 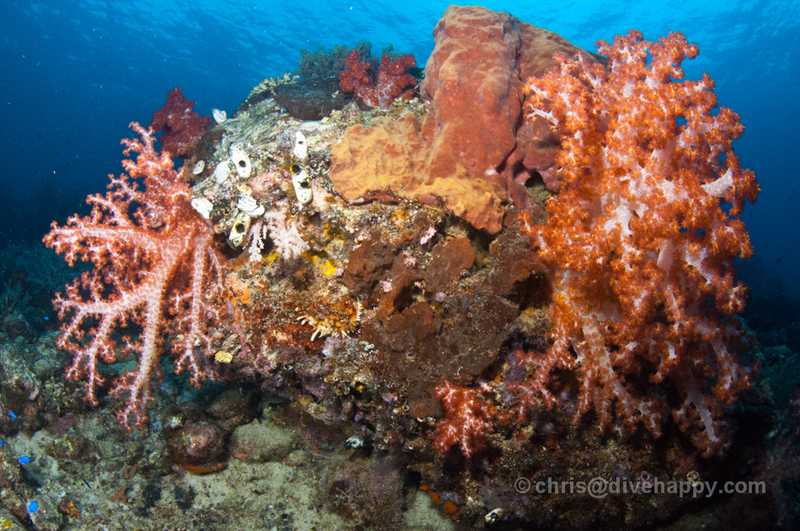 Black sand forms the backdrop for many dives but there is also some fairly decent coral too. However, such is the profusion of life that you will rarely have time to consider the environment as there are so many creatures to look at. Bunaken is only a half hour boat ride away and has some big walls, a complete contrast to Lembeh – it’s better to split your trip in two and spend some time at separate resorts in Lembeh and Bunaken rather than trying to explore from just one base. 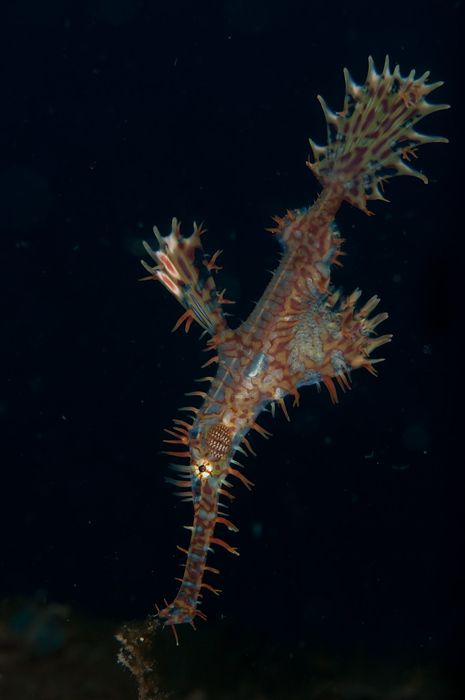 Bunaken and Lembeh lie at the bottom of the Sangihe archipelago and just a little further on is the fairly unknown area of Gangga, which has some beautiful underwater canyons and pinnacles as well as a lot of macro life like ornate ghostpipefish. Often overlooked thanks to Indonesia’s unparalleled array of great dive spots, Bali is a hugely underrated destination which provides not only excellent diving but the convenience of shore dives and comfortable living in either hotels or villas. The three key diving areas are Tulamben – home of the famous Liberty shipwreck and a paradise for divers that love macro stuff – also a great place to learn to dive; Lembongan – big channel diving looking for mola mola sunfish and exploring cold water epic seascapes; and Pemeturan, lost in Bali’s northwestern tip with Menjagan Island nearby which has some great corals and fish life. Located further along Borneo’s coast from Sipadan, Indonesian Borneo has several islands with great diving and some submerged atolls that are only accessible by liveaboard. Sangalaki is perhaps the most famous island for its schooling manta rays, although they are not there all the time. Derawan has some great reefs and this area in general has fallen off the dive map a little so it’s one of the new frontiers of Indonesia diving again as boats come back and make their own explorations to find new sites as well as the classics. 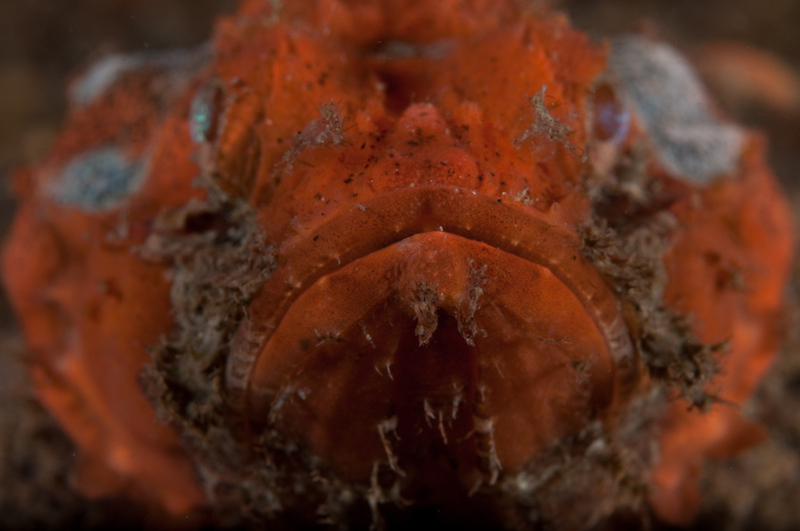 You can see more about diving Kalimantan in my trip report from the Tambora liveaboard. 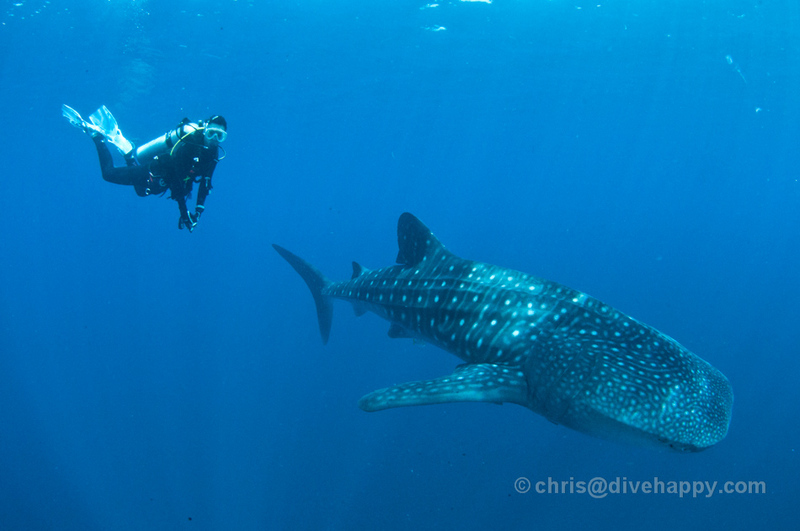 Indonesia’s Cenderawasih Bay has become increasingly famous as a dive destination over the last couple of years thanks to the possibility of spectacular encounters with whale sharks. 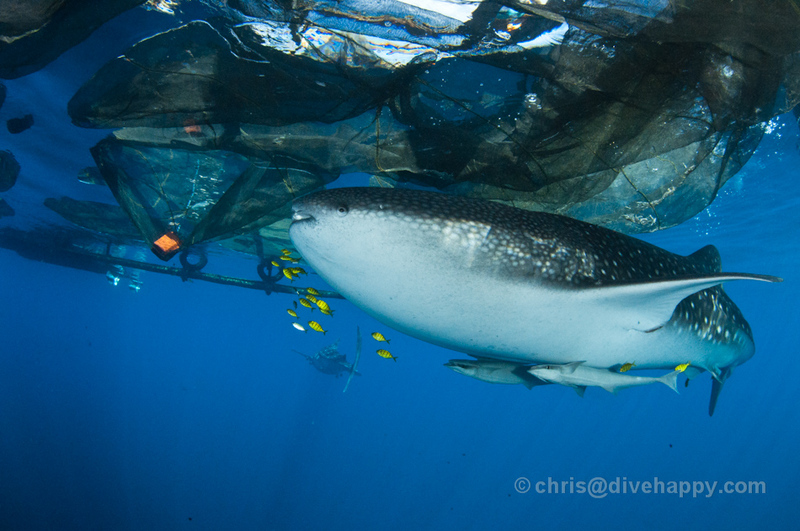 Appearing en masse at the floating bagans, or fishing platforms, the whale sharks love to feed on the tiny fish caught in the fishermen’s nets suspended below the bagan. There are numerous fishing platforms scattered across Kwatisore Bay, in the south west of Cenderawasih’s huge crescent of water, and the fishermen regard the arrival of the whale sharks at their particular bagan as a good omen. 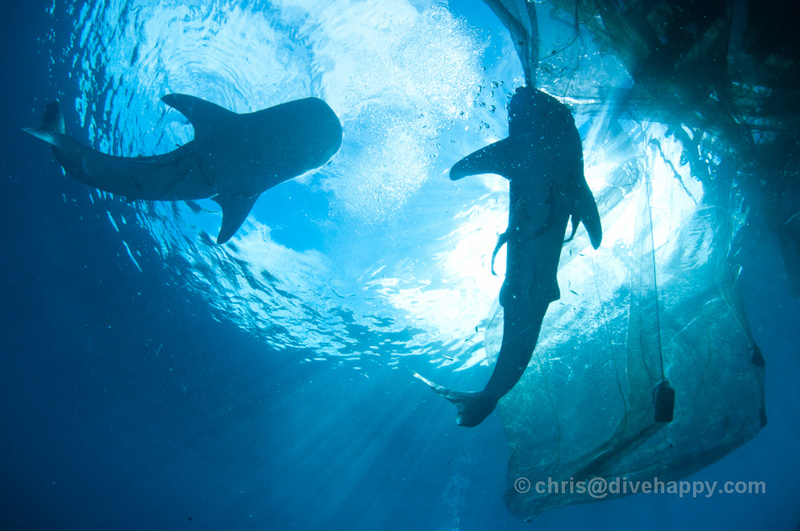 For divers, the platforms provide a jawdropping encounter with the whale sharks. There’s no other word for it. 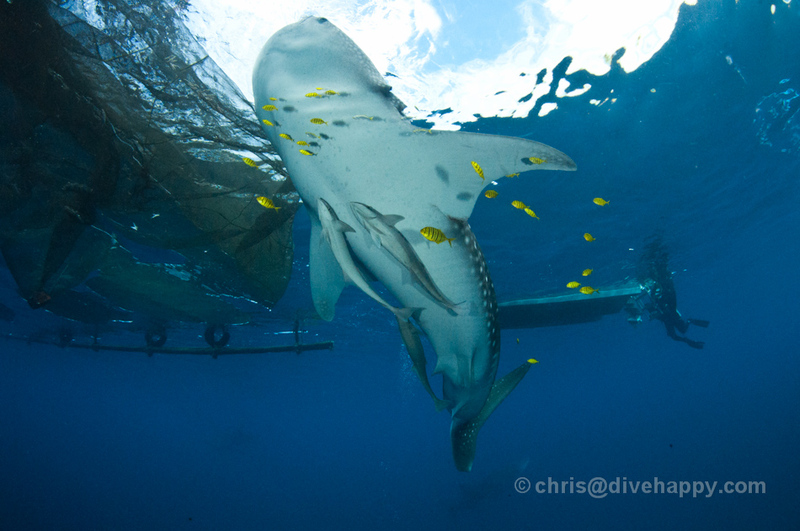 Most divers feel very lucky if they’ve witnessed even a fleeting glimpse of a whale shark fly-by, such is their rarity. 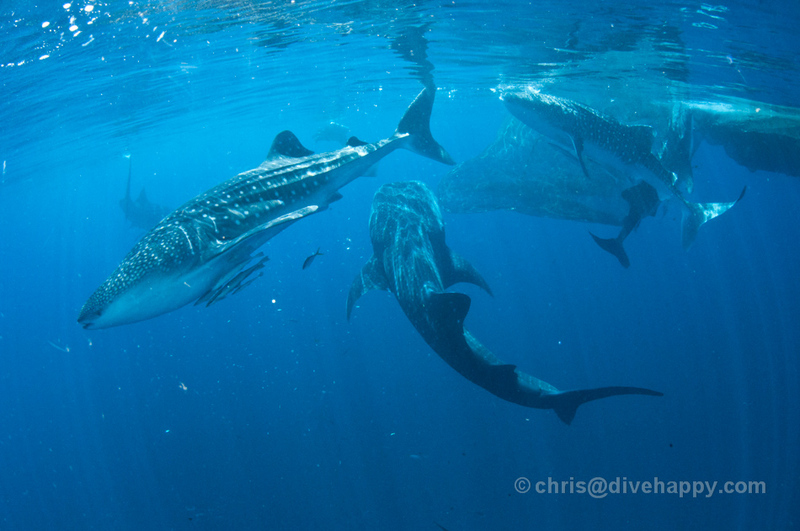 But in Cenderawasih we had not only one or two but five whale sharks endlessly circling the platform to feed in a few metres of crystal clear water, completely unbothered by bubbles and scuba gear and only interested in the next mouthful of fish. It is frankly hard to take a bad photo in such circumstances – the whale sharks come so close that within a couple of hours a competent photographer can shoot virtually the whole range of classic whale shark poses immortalised by books and magazines for their own collection. That is, of course, if they can stop giggling with excitement through their regulator that this is really happenng. 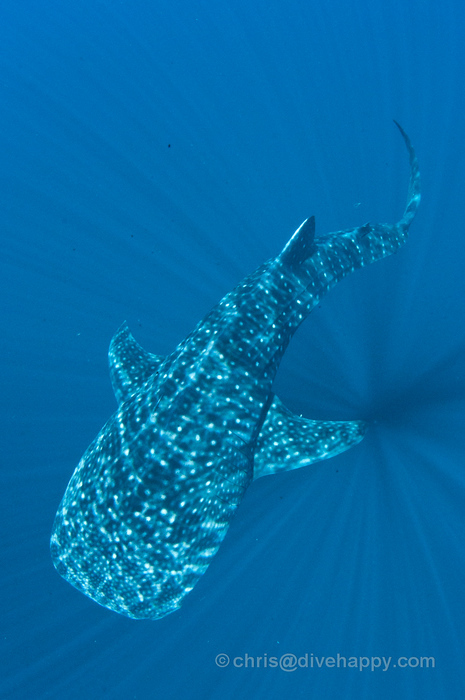 Exmouth in Western Australia, Baa Atoll in the Maldives and Sogod Bay in the Philippines (along with Donsol and Oslob) provide almost guaranteed chances of seeing whale sharks too, but the proximity and longevity of Cenderawasih’s whale shark encounters is a different level again. If the whale sharks are the major draw to Cenderawasih, the handful of liveaboards heading to the region has opened up speculation about what else might be in the Bay. Already the other key attraction is the presence of several World War II era wrecks that are remarkably intact. 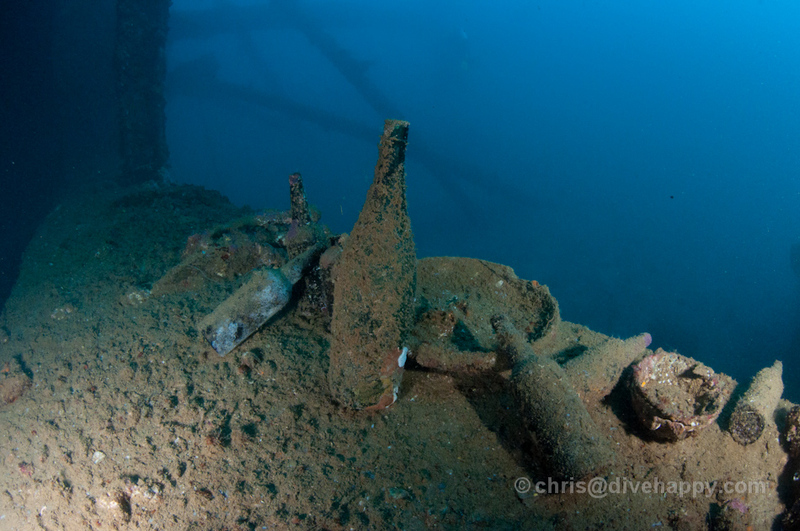 Nearby to Manokwari there is the Japanese wreck Shinwa Maru with its eerie cargo of bottles still scattered in its holds, easily accessible as the wreck lies on its side. 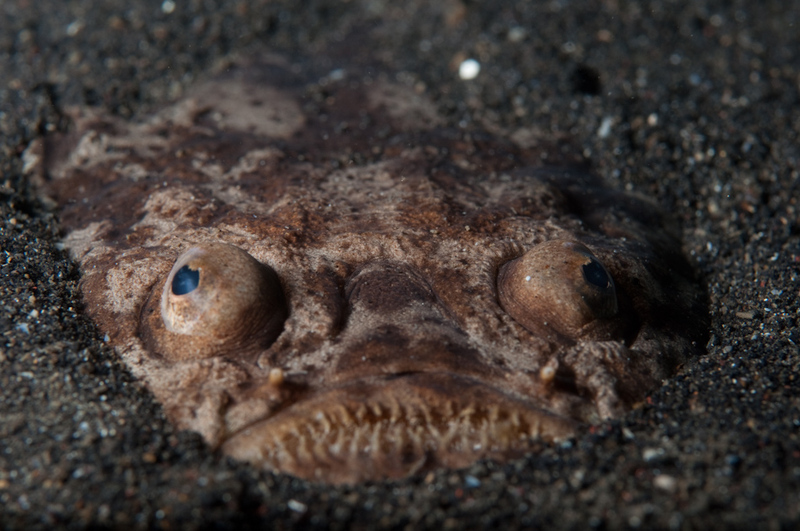 There’s also an unidentified US landing craft in shallow water, upside down and encrusted with coral and home to several curious batfish. 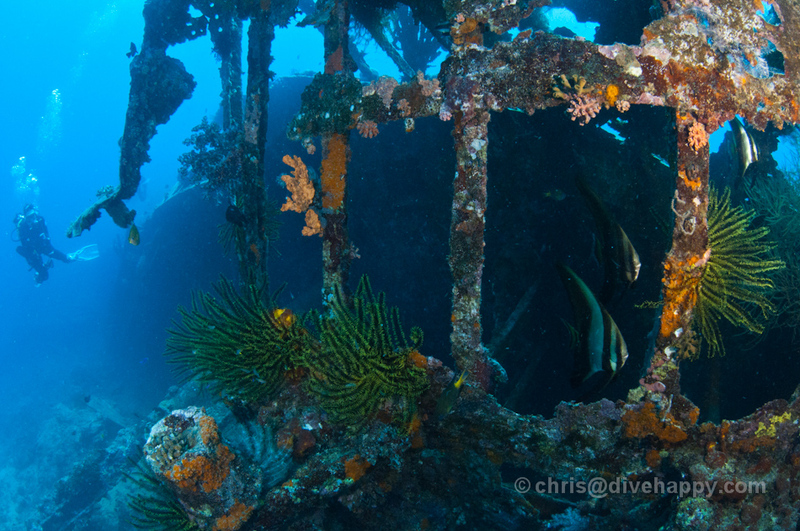 The wreck at The Cross, so named for the Christian school located nearby, also has a still discernable hull suffused in soft and hard coral, especially at the gracefully curved stern. Sadly we couldn’t dive the remains of the Japanese Zero fighter further down the eastern coast due to bad weather, or the wreck in Nabire harbour due to issues with the local bureaucracy. 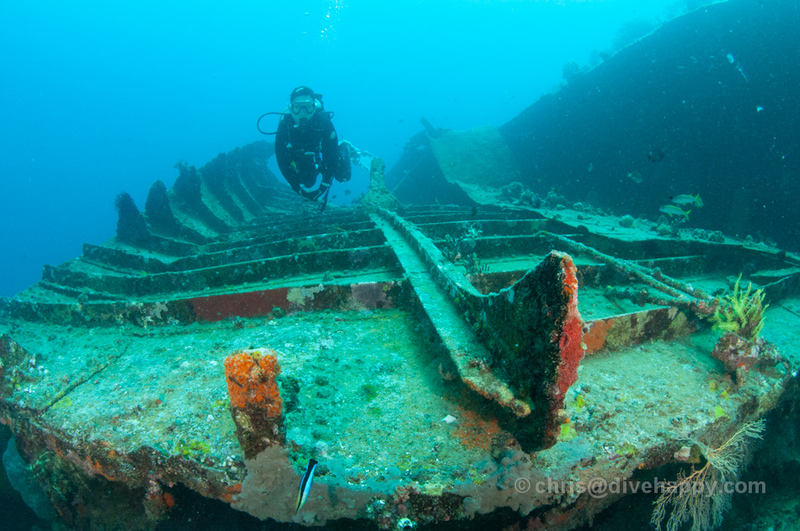 Biak also has several wrecks around its northern most coast that have yet to be extensively documented, although the visibility is meant to be pretty atrocious on that side of the island. 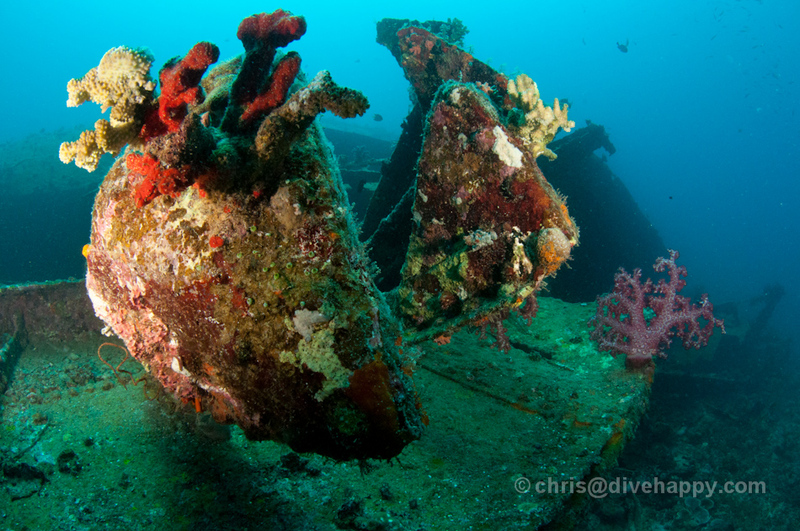 The uncertainity about Biak’s wrecks highlights just how little is known about Cenderawasih in general. Geographically even more remote that Raja Ampat, Cenderawasih Bay lies to the very far east of Indonesia, at the north eastern side of Papua island. The provincial capital Manokwari lies at the western tip of Cenderawasih’s vast U-shaped body of water, and the island town of Biak at the eastern tip. 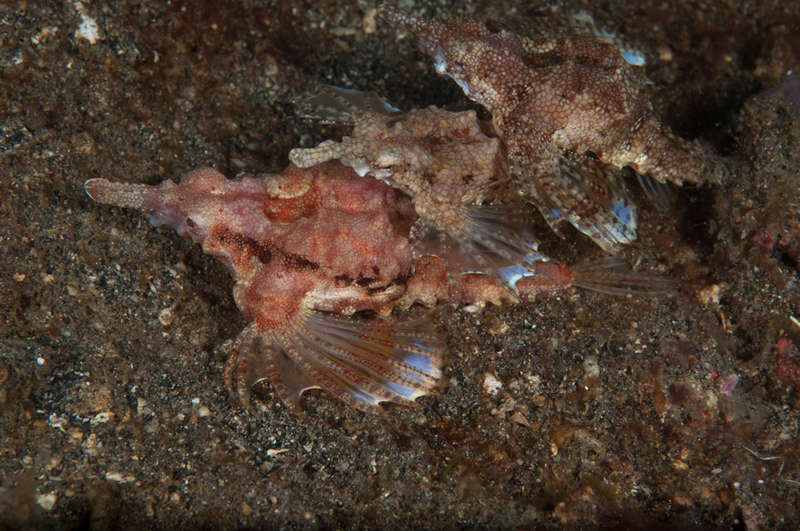 Burt Jones and Maureen Shimlock have already charted out key dive sites on Cenderawasih’s eastern coast in their indepensable book Diving Indonesia’s Birds Head Seascape – but the western coast of Cenderawasih Bay remains largely a mystery in terms of verified dive sites. The Bay’s Eastern Coast is also a designated National Park, but the west coast currently remains unprotected. During our 11 day trip on Damai, we followed Cenderawasih’s coastline from Manokwari down to the whale sharks at Kwatisore, along to the port of Nabire and then headed up into the very centre of the Bay to explore some of its scattered atolls before heading to Biak to fly back out. As with all exploratory diving, it was hit and miss, using only a clutch of secondhand GPS points and advice from locals – some sites didn’t exist and some had been dynamite bombed. 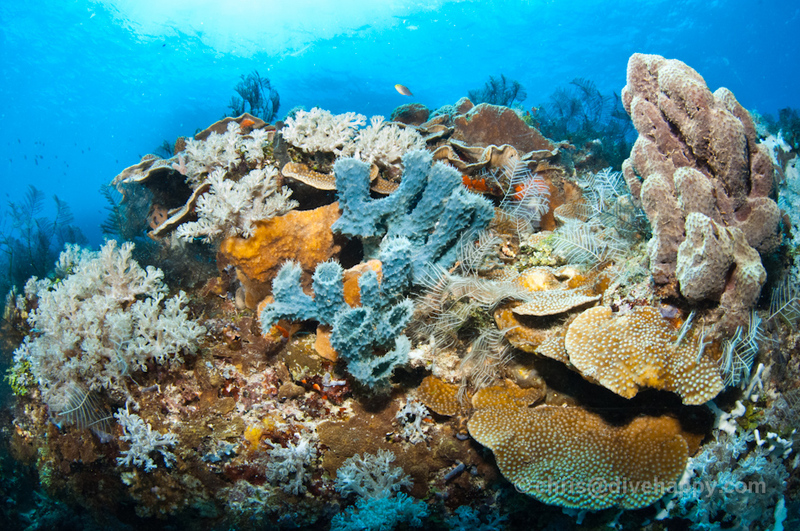 But there were numerous superb dives too, where the reef was pristine and quite likely had never been dived before. 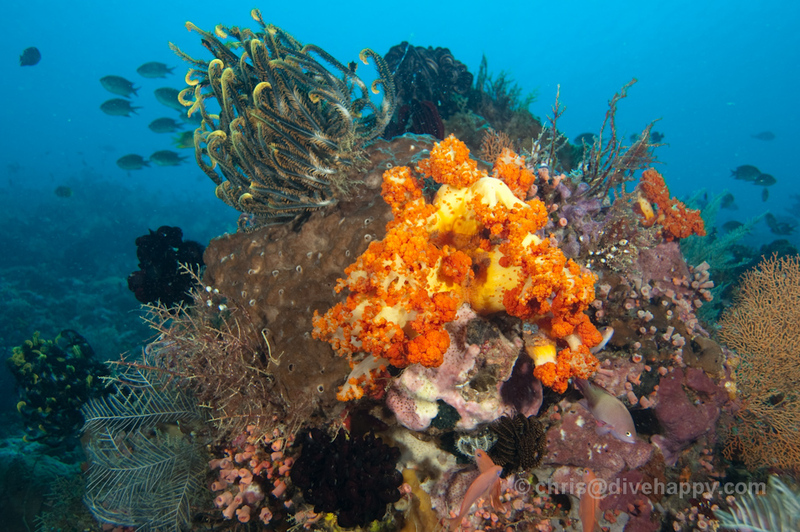 Cenderawasih has an abundance of hard corals which in the richest areas have grown into vast lettuce corals, huge staghorn patches, impressive table corals, and decades of encrusted colour and texture on walls, slopes and bommies. 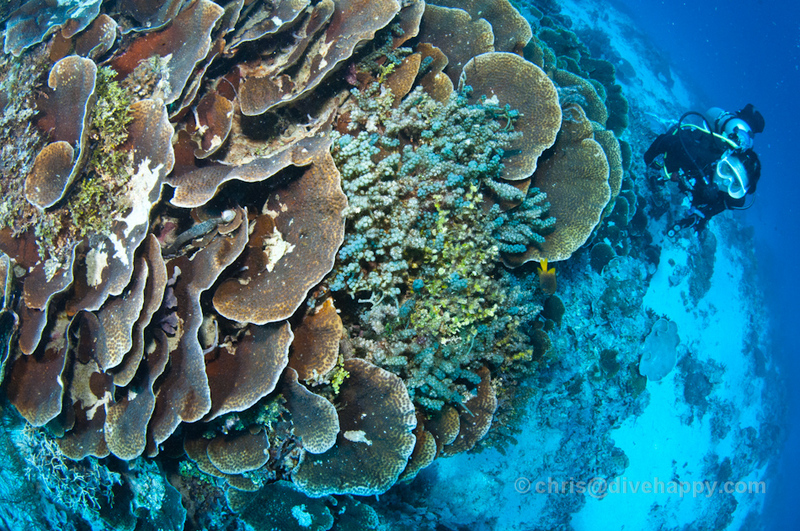 There are the psychedelic bright colours of soft corals and some gargantuan fans interspersed amongst them too, but in Cenderawasih the hard corals are king. 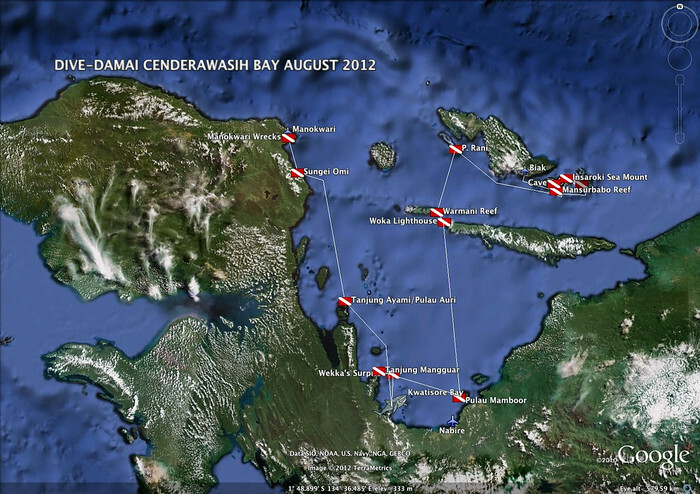 As Cenderawasih is explored more, new dive sites are bound to become firm favourites and part of established itineraries. 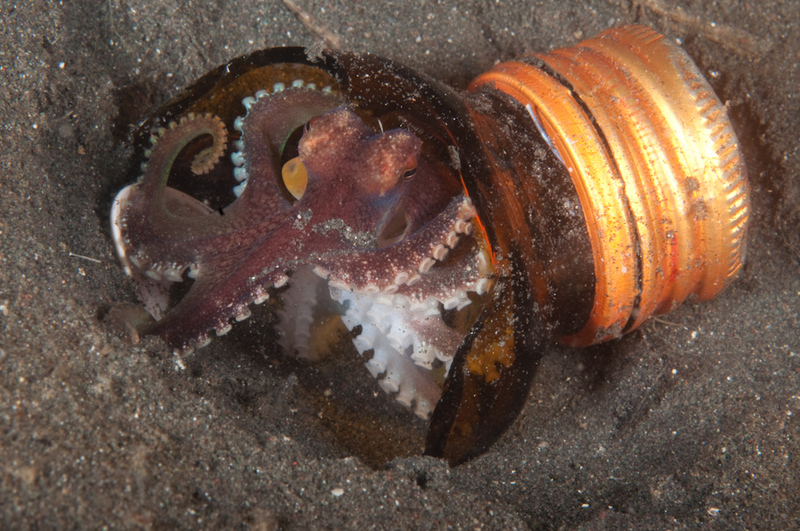 Unfortunately dynamite fishing is still active within the western side of the bay and so the health of the dive sites in that area is subject to constant change. 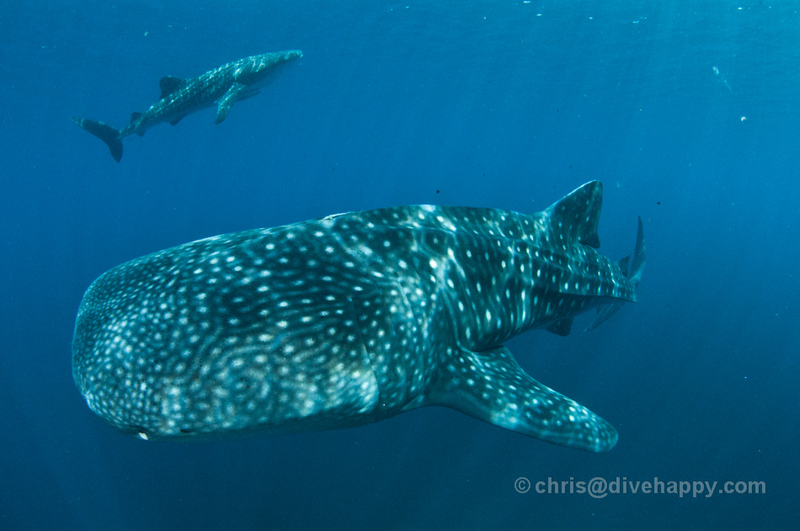 The whale sharks are already within the protected Cenderawasih national park and the remoteness of the fishing bagans means that it will be a while yet before there are too many boats and too many divers in the water. 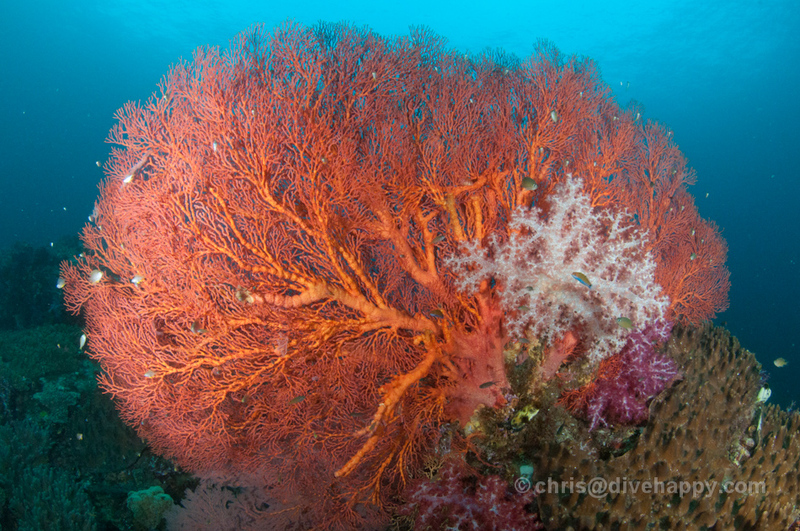 Best to see Cenderawasih Bay now while it still remains one of Indonesia’s last diving frontiers. Thanks to all the crew and staff at Damai liveaboards (www.dive-damai.com) for their help with this trip. 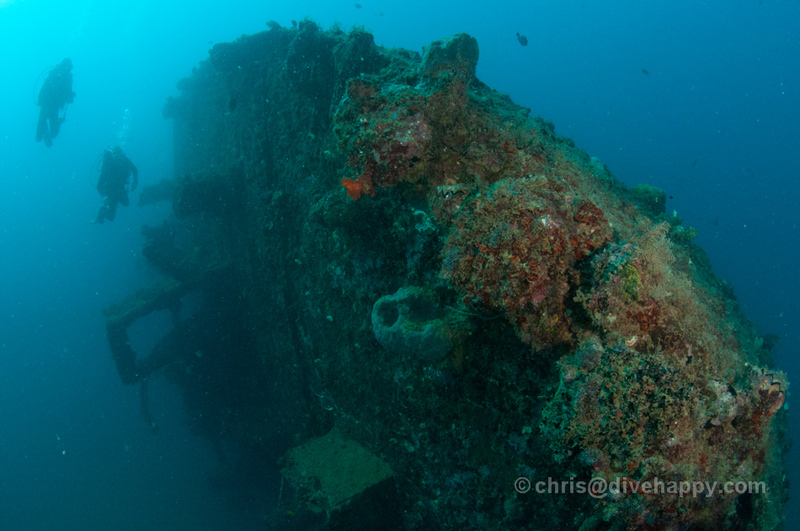 You can also read my previous detailed review of the Damai liveaboard itself. 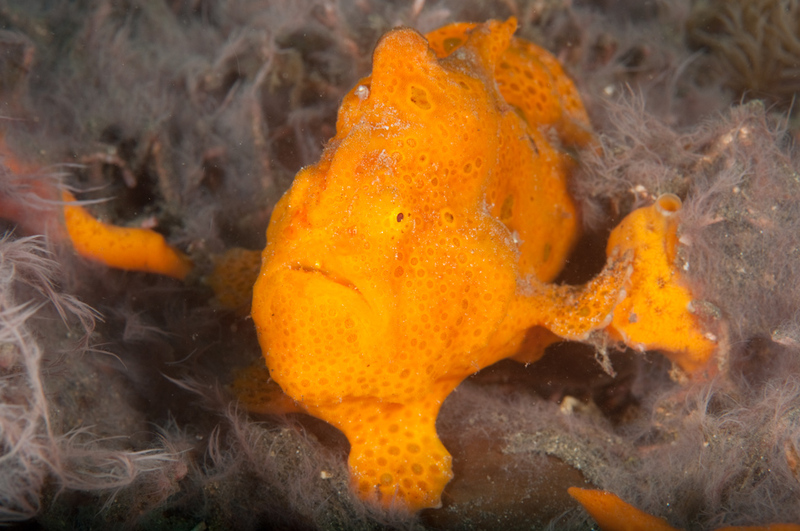 Indonesia’s northern Sulawesi has one of the greatest – and most unlikely – underwater environments in the world. 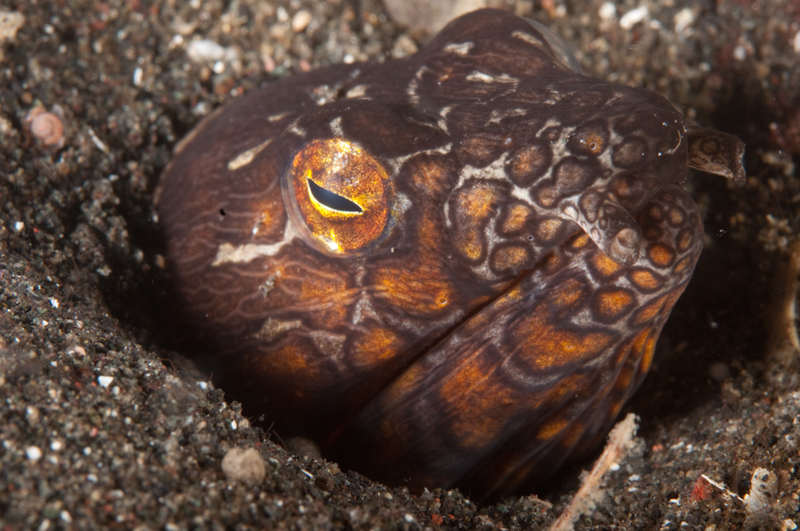 Scores of fantastic-looking marine species – many of which are rarely seen anywhere else on the planet – are regularly spotted on the barren black sand slopes of the Lembeh Strait. 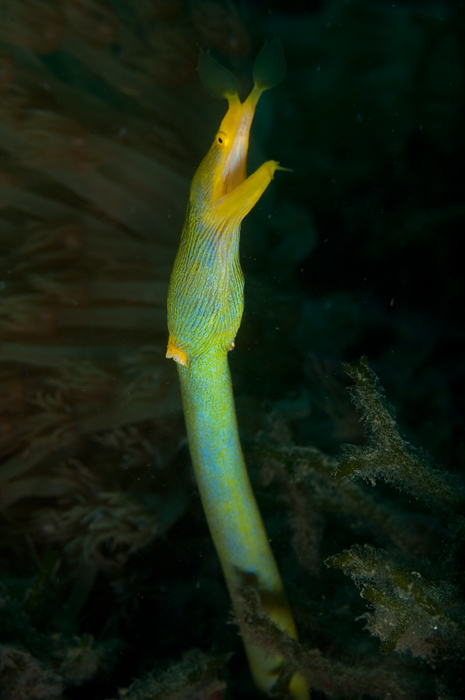 It’s difficult to over-exaggerate just how amazingly strange the creatures of Indonesia’s Lembeh Strait truly are. 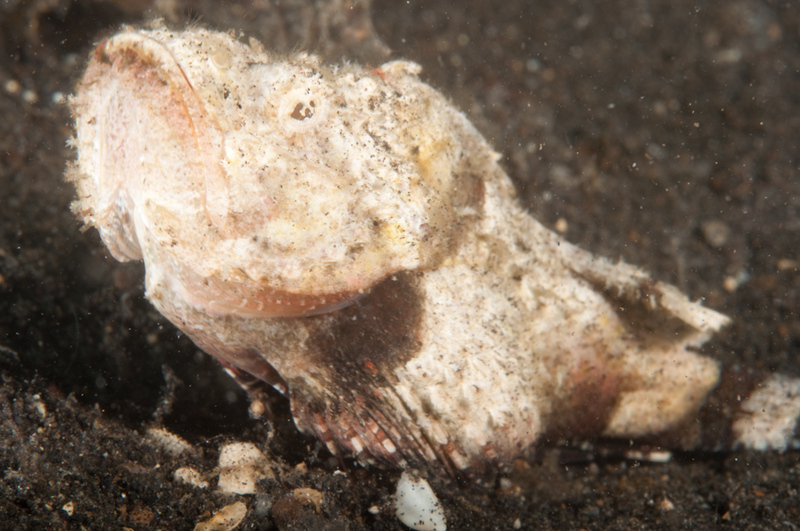 There are few other places in the world where you can hope to encounter creatures that sound like they come directly out of a Harry Potter novel – the Hairy Frogfish, the Mimic Octopus and the Flamboyant Cuttlefish, for example. 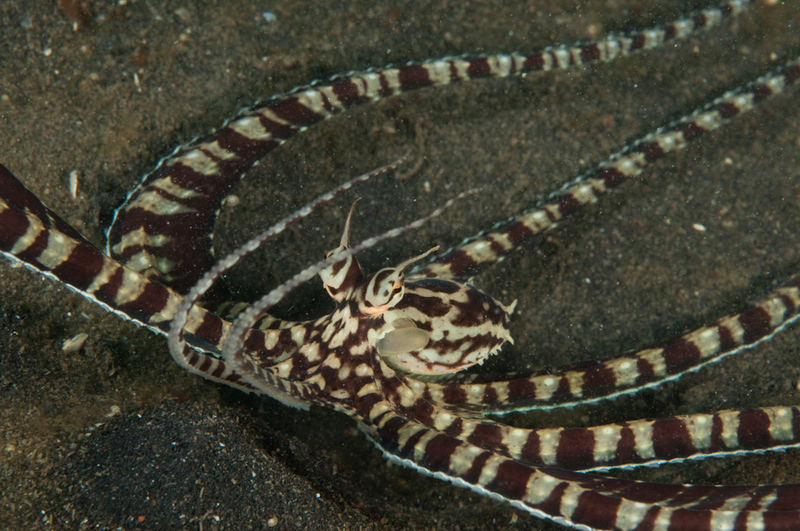 And not only do these creatures exist here, but they exist in relative abundance – it’s likely you will see a plethora of otherwise-incredibly hard to find marine creatures during a weeks’s diving in Lembeh. As such, this strip of water near Manado city in northern Sulawesi, home itself to a large deep water port, has become a mecca for scuba divers in the last decade. 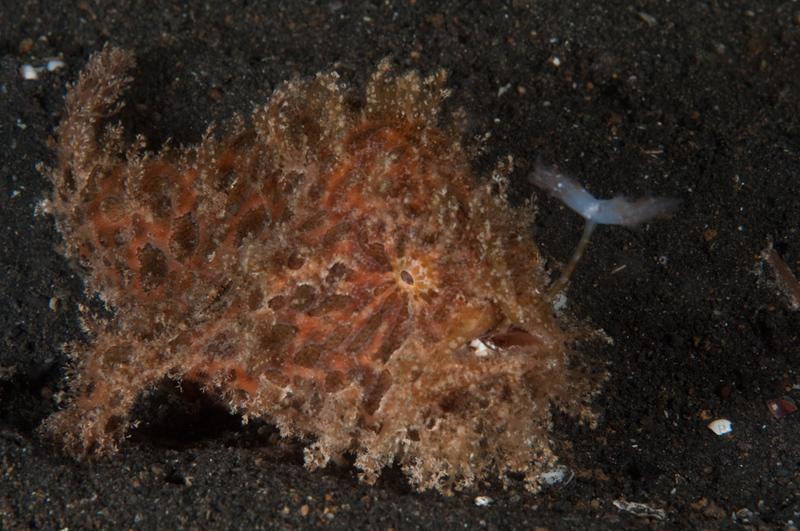 I’ve been here twice before, and much of what I wrote up in my previous Lembeh Strait diving trip report in 2008 is still true, so there’s not much point rewriting it again here. 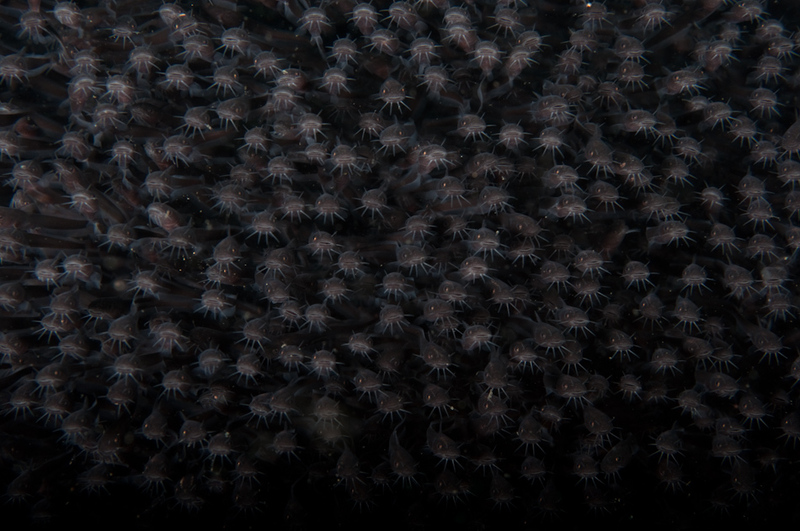 Hopefully the photos below give some idea of just a fraction of the creatures you might encounter in Lembeh. Basically, if you want easy diving and love seeing reality-warping critturs in their natural environment, then this is the place to come. If you want reefs and clear visibility, you might want to go somewhere else, like Bali or Komodo. This time round, I stayed at the Kasawari resort in Lembeh. I’ll be writing up a full review shortly, but I would unreservedly recommend Kasawari if you can afford the higher price tag to other Lembeh resorts which tend to be more affordable. 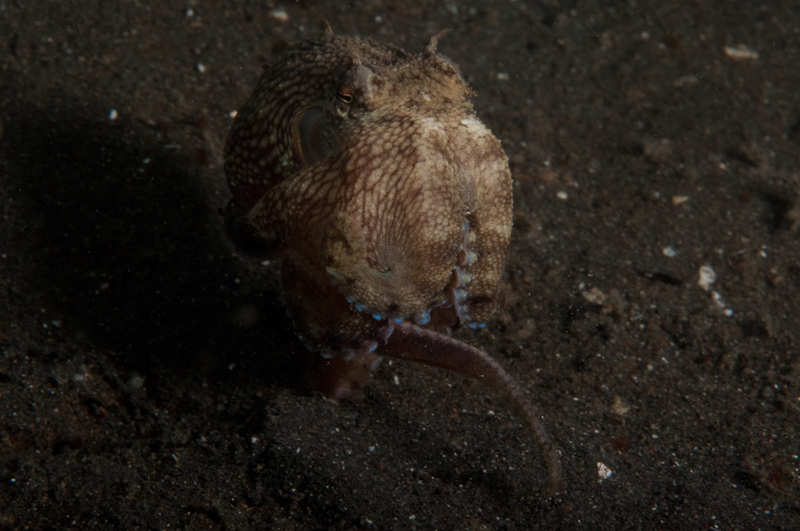 Lembeh is basically the best value destination for underwater photographers of all levels that I can think of. 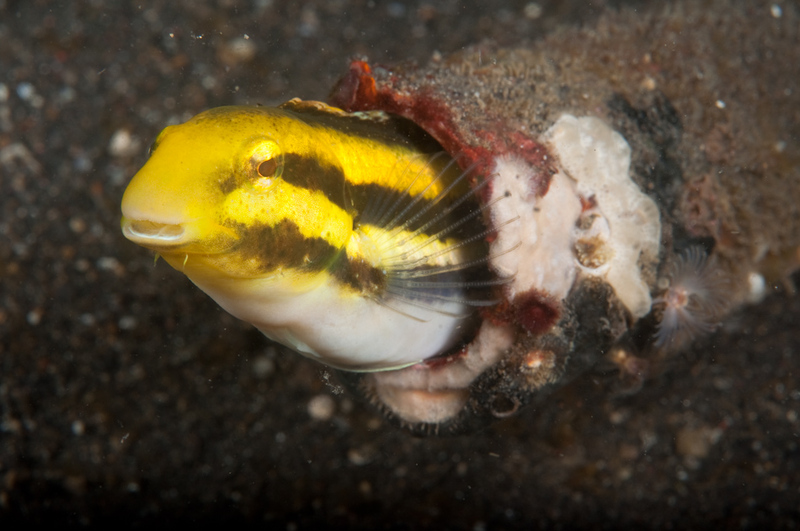 if you’re learning to take photos or simply prefer to use a small compact than a big bulky DSLR, Lembeh’s array of small creatures will provide perfect subjects. If you’re getting started with a DSLR, the lack of currents, shallow diving and easy to deal with terrain to manouevre in lets you focus wholly on taking pictures rather than grappling with the underwater environment. 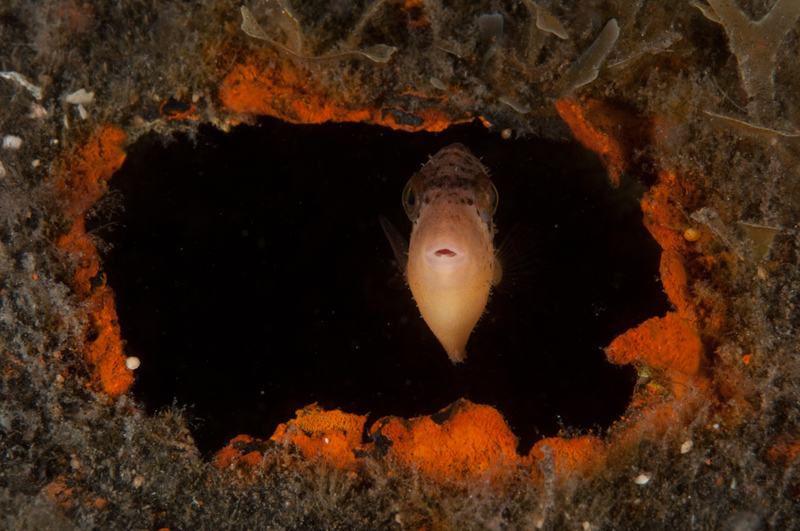 And if you’re an experienced photographer, the sheer richness of marine life will keep turning up something new or old favourites to try capturing in new ways. The other thing that is not noted often is that Lembeh above water is stunningly pretty – lush green hills rising steeply above the water covered in palm trees beneath the blue sky. While it’s arguable there are too many resorts in Lembeh now (I think it’s up to 10 currently), the area is big enough that it does not feel too built up yet. Given the amount of divers wanting to go to Lembeh, it’s relatively easy to get there despite it being fairly remote: SilkAir fly from Singapore to Manado and AirAsia fly from Kuala Lumpur to Manado. Check Kayak and Skyscanner to compare prices and timings. It’s then about 90 minutes (or less) drive to your resort, depending on its location. I’m already making plans to go back in 2012.